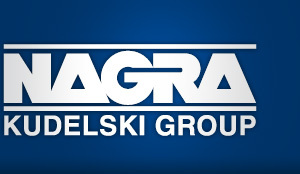 Kudelski Group Careers | Job, Infrastructure Integration Engineer. Kudelski Security, a division of the Kudelski Group (SIX: KUD.S), is an innovative, independent Swiss provider of tailored cyber and media security solutions to enterprises and public sector institutions. Our team of security experts delivers end-to-end consulting, technology, managed services, and threat intelligence to help organizations build and run successful security programs. Our global reach and cyber solutions focus is reinforced by key international partnerships. To allow for automated delivery of resilient infrastructure services and streamlined automation for our Cyber Fusion Center, we are looking for an Integration Engineer to integrate Kudelski Security’s Infrastructure and Delivery Engineering (IDE) squad, based in our Headquarters in Cheseaux-sur-Lausanne, Switzerland. The IDE squad works alongside “Solutions” squads to develop, build and run Kudelski Security’s cornerstone products. Build and maintain global tools needed for automation, integration, deployment, backup, monitoring and operations, allowing to a scale-up of our activities. Implement and support middleware components that will make for the foundations of our solutions (e.g. Elastic stack, Prometheus and others). Write and adapt Puppet modules to deploy and configure servers. Acquire the necessary knowledge and technical skills to backup other team members, create and keep the documentation up to date. Administer our servers running on Linux and Windows. Enable and work with the Solutions squads to continuously integrate and deploy their software code through CI/CD solutions. Troubleshoot and resolve issues in all environments. Be part of the on-call rotation of the squad. Enable infrastructure as code: Build, run and automate infrastructures, more specifically AWS, delivery engineering and middleware components (including documentation), keeping in mind the 24*7 constraint on our production environment. Ability to understand a global architecture from infrastructure through middleware to application and their relationship. As an Integration Engineer, you are expected to evolve and develop expertise rapidly in a wide range of ever-changing technologies; as such the requirements below are not exhaustive. Good level of Python and shell scripting. Knowledge of code management (Git) and build tools (Jenkins). Excellent analytical skills and pro-activity. High level of commitment. Process re-engineering skills. Don’t take anything for granted. Docker / Kubernetes experience a plus. Be as autonomous as possible and self-taught. Ability to use and integrate a wide variety of open source technologies and tools. Willingness and ability to ingest new technologies at blazing speed, break new grounds. A solution finder. Ability to use and glue a wide variety of technologies and tools. Enthusiast team player capable to share knowledge with other team members. Able to manage workloads by understanding priorities. Common sense is nice too and ability to take a joke. Able to work in a multicultural environment (contact with US, India).